How to impress Friends and Family this Festive Season! In these recessionary times, we keep hearing that “staying in is the new going out”. And for me, now that I have two small children which require babysitting, a night with friends around the kitchen table with a few bottles of wine and decent food is a treat in itself. But there’s that age old question – what to bring?! Of course, sure, you grab a bottle of wine from the wine rack / local supermarket, but sometimes it’s nice to add a slightly more personal touch too… And didn’t you bring flowers the last time? Why not impress everyone by making some dip and bringing it along with a large share bag of everyone’s new favorite crisp (Veronica’s Snacks of course)?! Seriously, dips are really easy to make, so even a non-foodie can manage it, and it seems such a thoughtful thing to do and my goodness, wouldn’t your mother-in-law be impressed?! 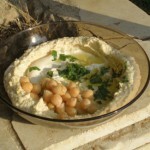 Drain the chickpeas, and keep a few whole ones aside for garnish. Whizz up the remainder in an electric mixer / blender / food processor with a little of the cooking liquid, to make a smooth paste. 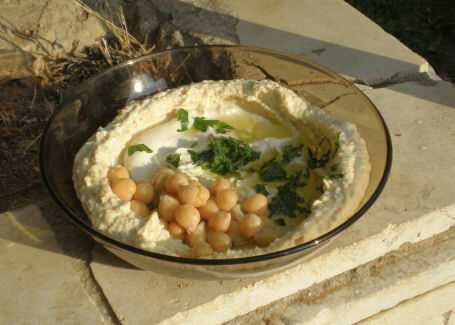 Add the lemon, garlic, tahini paste, olive oil and salt, to taste, then blend to a soft creamy texture Taste and continue to add lemon juice and salt til you are happy with the flavour. This is mostly my own makey-uppy recipe – I got some tips from the Mexican lady who was head chef in the Mexican restaurant I worked in for a year after college, in Cologne, Germany. To ensure you have good ripe avocados, buy them a few days in advance and leave them in your fruit bowl (not the fridge, it’s too cold), preferably near a bunch of ripe bananas which will help to ripen them up. 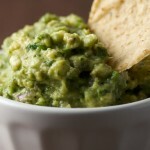 Cut the avocados in half, remove the large stone and then scoop out the soft flesh into a reasonable sized bowl. Dice the onion and add to the mashed avocado, mixing well Pour in the lime juice, and check the seasoning – add some chilli powder here if you like, although personally, I prefer my guacamole un-spiced. And Voila it’s ready to be devoured with some yummy Veronica’s Snacks Crisps. Guilt Free and Delicious. 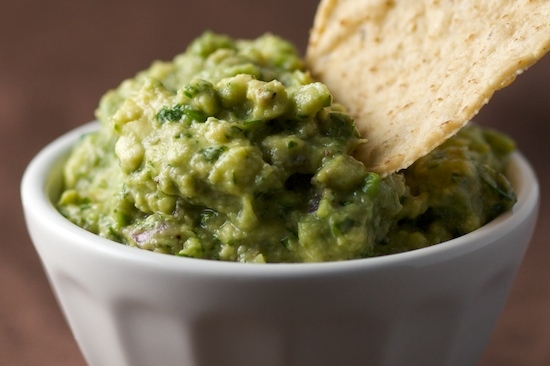 Delicious dips there, guacamole looks fab. I like to share the well known australian dip of sour cream drizzled with sweet chilli sauce, they are yummy with your bbq crisps, and the dip can be made in seconds. Yummy, that sounds delicious, we’ll have to tell people about that one for sure!! Thanks Catherine :)! !